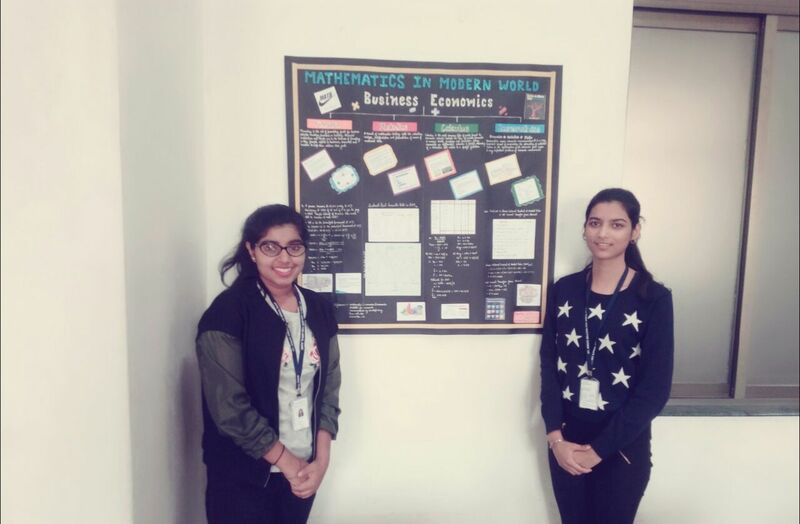 Two students on F.Y.B.Com Ms. Preeti Yadav and Ms. Subhalaxmi won 2nd Prize in intercollegiate Mathematics poster competition Mathscon 2018 held at MIT Arts, Commerce and Science College , Alandi. The topic was “Mathematics in Modern World”. In all more than 20 groups from different colleges participated in it.